This post has now been updated. 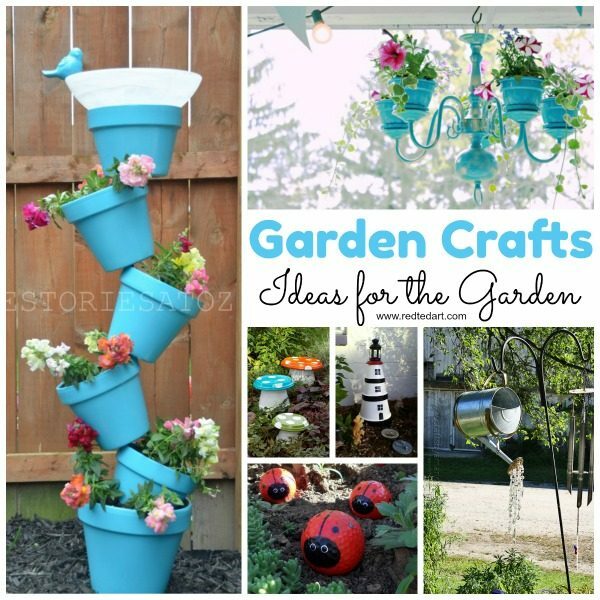 A little while ago, we challenged you to create some wonderful Garden Crafts. You came. You saw the Garden Craft challenge. You got crafty!! And I love all the garden craft ideas you came up with. 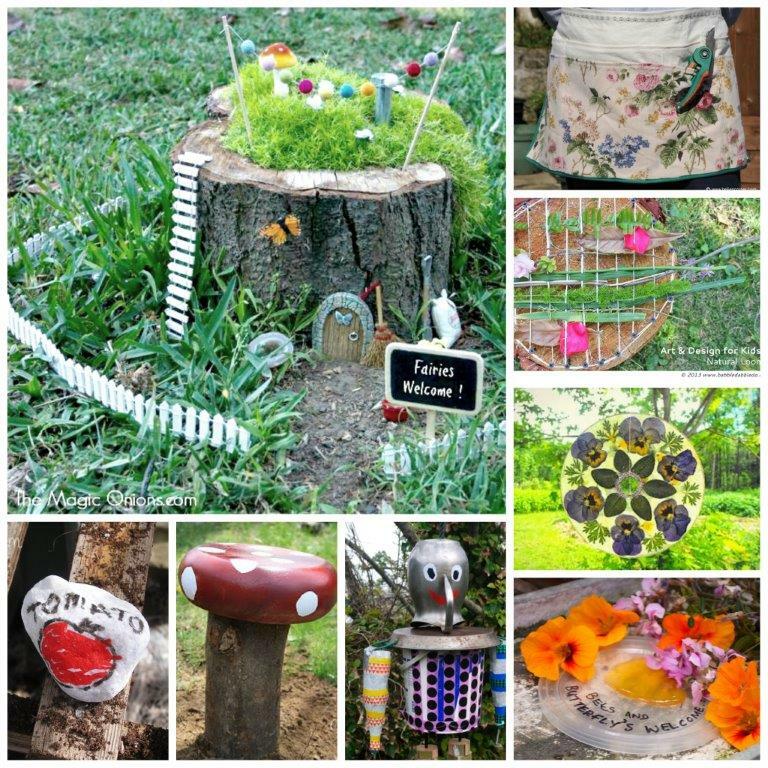 As part of the challenge, over 65 Garden Craft ideas were shared – from mobiles, to plant pots, to fairy houses. And I picked my favourite here. 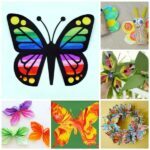 Check out the rest of the wonderful crafts below!! Congratulations on the “winners”. 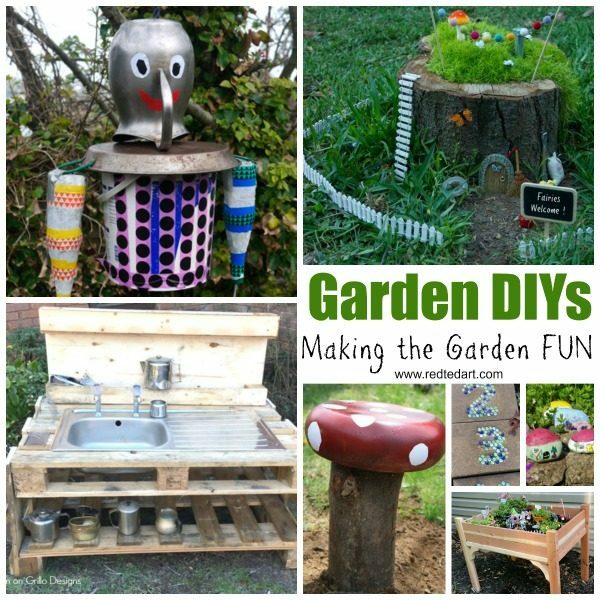 I hope you are inspired to create your own wonderful DIY Garden Crafts this Spring and Summer!! 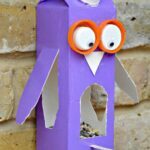 Garden Crafts are a fun way to take your crafting outdoors – with or without the kids!! Adore these Clay Pot Lighthouses. So fun. See Mimi Rose Creative Design for more info! 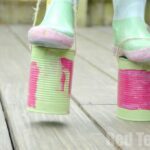 Here are some ideas for making the garden a su per fun space to play in! 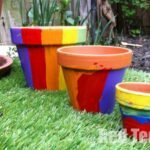 Make these DIY Garden Crafts FOR and WITH your kids! Time to DECORATE the garden with the kids. 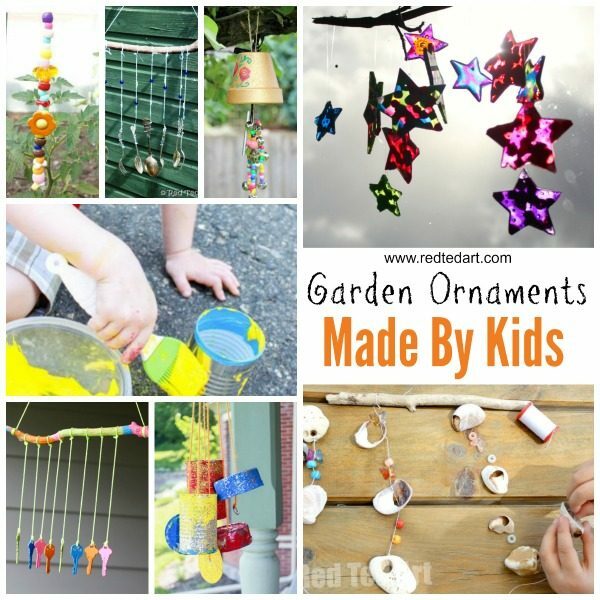 Here are some wonderful Garden Ornaments and Garden Windchimes for Kids to make!! Personally.. we love the colourful beads and shells best!!! And years later these still hang in our garden. Easy Shell Windchimes for kids to make! 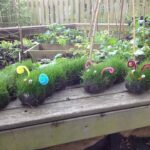 A great way to get kids involved in the garden is to make some gorgeous DIY Plant Markers with them. It is also an opportunity to sneak in some writing practice and learn about different fruit and veg. Here are some lovely ideas! 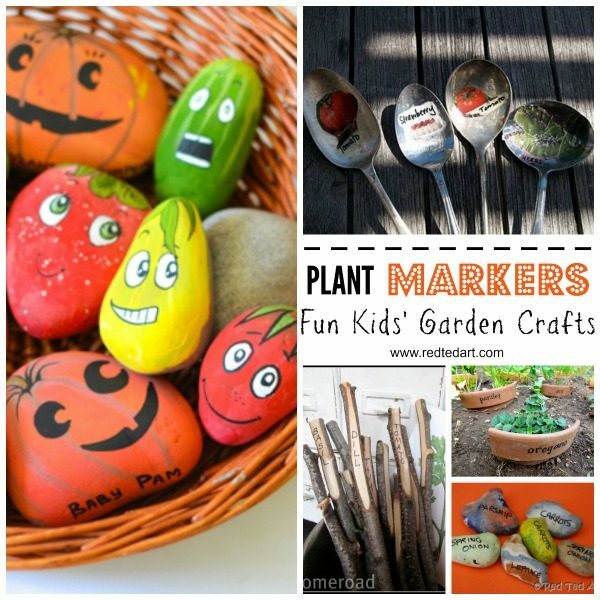 LOVE these vegetable and fruit stone markers from a Adventures in a Box! 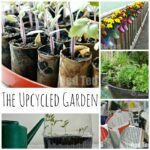 Thirfty Seedling pots – get kids growing seedlings but also teach them about recycling and reusing! 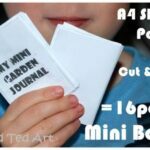 Similarly – how to make newspaper seedling pots! 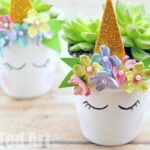 Hope you enjoyed these DIY Garden Crafts and Ideas and that you are inspired to get crafty!! Ooh we can’t wait to see the next batch of #getyourcrafton for the garden, we want to be inspired! Yes!! Looking forward to it too!! Yay! Really excited for this challenge, I do need to get out in my garden more. I love this linky idea. I am in gardening mode right now and can’t wait to involve our little ones in the fun. Thanks for the inspiration. Awww so sorry to hear that!! Have you got a window box? Or could you be persuaded to have a go at a Terrarium or similar? Fantastic projects! Thank you so much for including our Natural Loom! Sara, I ADORE your music man!! He is the coolest ever!! PS next challenge already on Instagram… check the #getyourcrafton hashtag! Thanks so much for picking my garden apron as one of the ‘winners’ 🙂 There are some great garden crafts listed here. My pleasure! Such a perfect “garden craft”!!! So many lovely ideas you have here. I am inspired to go out and create in my garden today! Wow, That s what i ve been looking for! We have a big garden and i want to make some kind of new outside fun things for my chidlren. Love these craft. I will check out and cant wait to do it at the weekend!